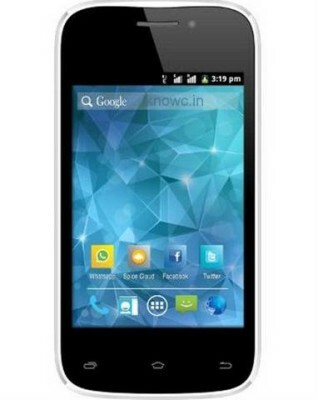 Spice mobile has just launched another budget Dual Core smartphone , the Spice Smart Flo Space Mi-354 . The Device is priced at RS 3799 . So you can’t expect even standard android features from this smartphone . The Stellar Glamor Mi-436 was launched a day before . Well the specs are not really that impressive . So if you love performance , 3G , a good camera then this one is not definitely for you . But yes if you are beginner to android then it may be good choice but not the best . 3.5inch capacitive touch screen with 480x320pixels resolution . 1GHZ dual core processor , 256MB of RAM . Android v4.2 Jelly bean OS . 3MP rear auto focus camera , 1.3MP front facing camera . 3.5mm audio jack , FM radio , Bluetooth , WIFI , 2G ( EDGE , GPRS ) , G-sensor . 512MB of internal memory , 32GB expandable memory . 1450mAH battery , claims talk time up to 5 hours . Dual Sim (2G + 2G ) . Colors : Silver + White , Black + Silver . You can also see Micromax A54 with 3G capability ( Unboxing And Review ) .Spice Mi 354 price is RS 3799 , you may get it in cheaper as soon as it will be available in the market .